A man who was charged in separate incidents which occurred over a five-day period recently has pled guilty to one of the offenses and faces a court date on the other. Gregory Wayne Elliott, 306 Crimson Tide Lane, McMinnville, was first served an arrest warrant on Sept. 29 by Cannon County Jail Administrator Ed Brown. The warrant, charging Elliott with assault, was taken out by the purported victim, John David Wallace, Jr., on Sept. 26. Wallace alleges that on Sept. 25 Elliott got him on the ground and "punched and kicked" him. The warrant was served on Elliott after he was apprehended at Cannon County High School by the Woodbury Police Department where he had reportedly gone to pick up his girlfriend after she was involved in a fight. Elliott faces an Oct. 18 court date on the charge. The other incident involving Elliott took placed on Sept. 30 when Cannon County Sheriff's Deputy Brandon Gullett responded to his residence following a report of a domestic dispute. When Deputy Gullett arrived at the location he was informed by Elliott's mother, Jennifer Deese, that her son had started an argument with her over some property. During the discussion between the deputy and his mother, Elliott came out on the front porch and began to cuss and argue. Deputy Gullett advised Elliott to calm down but he continued to cuss. At that point the deputy placed him into custody for disorderly conduct. 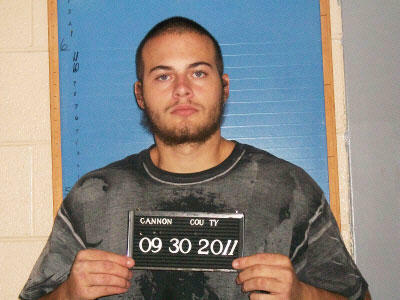 On Oct. 4, Elliott pled guilty to the charge in Cannon County General Sessions Court. He received a partially suspended sentence of 30 days in the county jail, was placed on probation for 25 days, was given credit for five days served, fined $20 and assessed court costs.